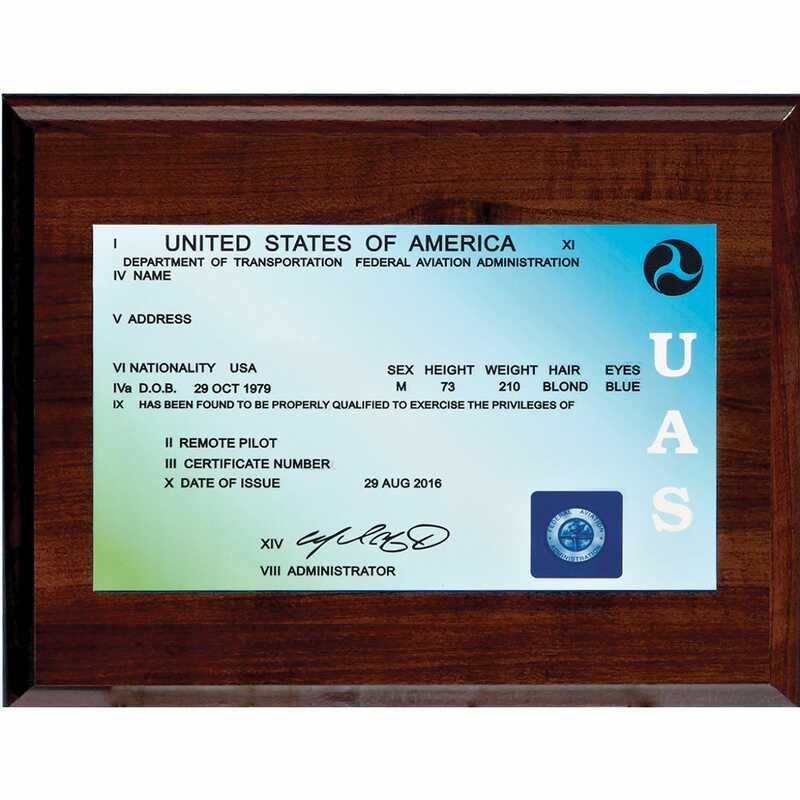 Proudly display your UAS certificate with these high quality plaques. Your certificate is printed onto an aluminum alloy plate using a sublimation process. The resulting high gloss finish is fade and scratch resistant. This lasting memorial is perfect for the home or office. Elite Plaque—Ten separate coats of lacquer give this plaque its high-gloss piano finish. Black and chrome plates emphasize the license and give this plaque a first-class look. Single Sided Plaque measures 8" x 10". Dual Sided Plaque measures 10.5” x 13”. Available in rosewood and ebony. 1. Order license plaque by adding item to cart and click on checkout. 2. Click on the link below, print and fill out the License Plaque Form. 4. Also include your name and web order number. Difference between ebony and rosewood ? BEST ANSWER: The ebony color is a black and the rosewood is light reddish color. This link has a picture of both colors.